Bell Hanna was the first librarian, caring for an initial collection of 1,500 volumes. She remained the librarian until 1926, leaving with the belief that the library, “might be, what every library ought to be – an integral part of public education.” The building remained almost completely unaltered until 1995. 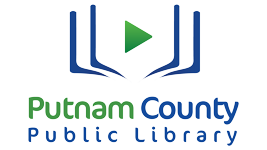 The following year, the heavily crowded Putnam County Public Library was expanded by 18,000 feet. Ellen Sedlack was the director of the library during that improvement. Sedlack remained the director until her retirement in 2001, when she was replaced by Alice Greenburg. Greenberg retired in 2013, and Grier Carson accepted the position of director that same year.